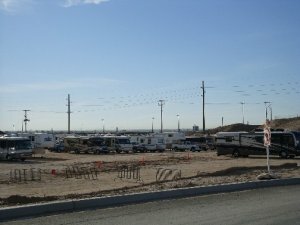 Dry camping is permitted in the RV parking lot. This lot is standard desert dirt and is just fine most of the time. In a rain, I would avoid this lot – something to do with sticky mud! No wifi the last time we were there in February 2010.